As one of the first steps in the revenue cycle, registering a patient has the potential for many downstream effects. Incorrect or missing information in this step of the cycle can cause rejections, denials, and unpaid claims costing hundreds or thousands of dollars. To achieve the goal of complete information gathering, practice administrators need to assure that the team responsible for registration understands the importance of their role in the revenue cycle of the clinic. Clinics should also do what they can to automate this process as much as possible, allowing patients to do the work. I recently heard a manager explain the importance to her team this way – “You get paid every two weeks, right? Well, when you put the information in wrong, or not at all, that delays when the doctor gets paid. Instead of getting paid in 30 days, he won’t get paid for 60 days, or 90 days or sometimes over 120 days. Do you want to wait over 120 days to get paid? Well, they don’t either. Please keep this in mind. It’s important.” Kind of hits home. It also shows the team how this one small detail, this one part of their job, effects the big picture. 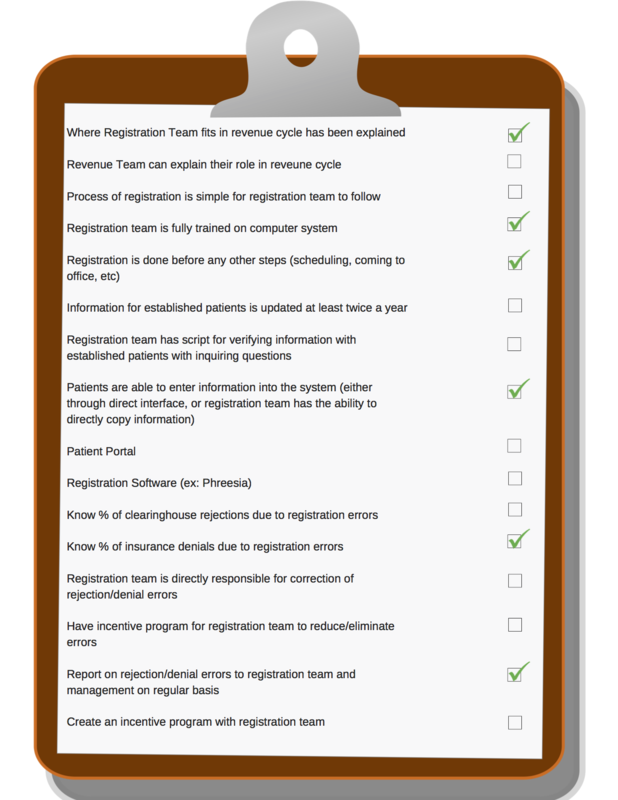 In a manual process of registration, the patient tells the clinic registration team their information and it’s entered into the system. For new patients, this requires a high amount of attention to detail and accuracy in team members. For established patients, it requires that the team ask open-ended questions, not “has your information changed?” Asking “yes/no” questions allow patients to accidentally, or on purpose, not tell the staff of changes in their contact or insurance information. Practices with shorter delays and lower denials due to registration errors have found that registration should occur before anything else. This allows them to verify insurance eligibility and determine copays/coinsurance before the patient arrives. If possible, the collection should be automated so the possibility for human error is reduced. Forgetting to enter information, entering information incorrectly due to being unable to read a patient’s handwriting, or transposing numbers can lead to payment delays. Best practice is to automate this system and collect the information before the visit for both new and established patients. 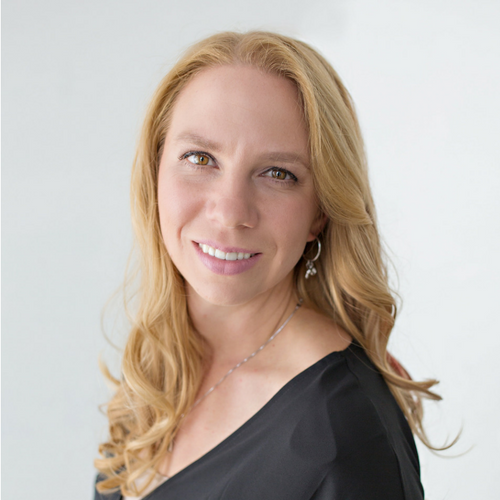 Some offices have found that their patients prefer connecting with them online and are utilizing patient portals. These solutions allow established patients to update their own demographic and insurance information before they come in for the visit. Some practices allow new patients to fill out registration forms online and submit them electronically. Both ways allow the clinics to gather the needed information and enter it into their system (either manually or electronically) before the patient ever arrives for the appointment. 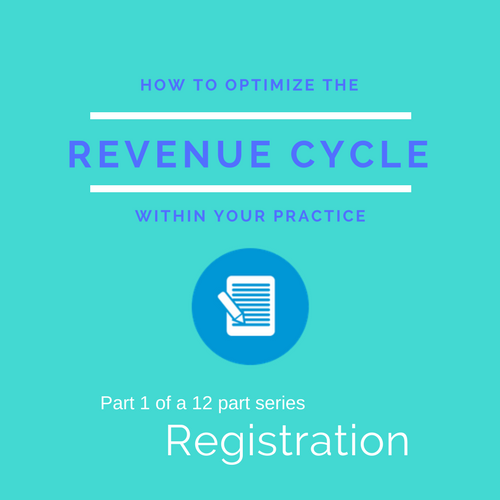 Using the attached Registration Gap Analysis will allow clinics to determine where to start in optimizing this part of their revenue cycle. However, before utilizing this tool, an administrator should first determine what percentage of clearinghouse rejections and insurance denials are related to the registration process. Examples include incorrect insurance ID, subscriber information, and demographics. With this information in hand, an incentive program can be created to lower the rejection/denial rate by the registration team. Ideas of incentives could be to buy the team lunch if the rate is lowered by 10%, offer an extra day of PTO for maintaining a certain percentage for 6 months, or even throwing a party if the errors are eliminated for a quarter. Working with the registration team to create obtainable goals with desired rewards will create buy-in. The registration team can positively influence the revenue cycle once they fully recognize and understand their part. However, the largest decrease of registration related denials will occur when the clinic can use technology to allow the patients to enter their own data into the system. By collecting registration information before all other steps, the clinic will be able to determine copays/coinsurances and verify insurance eligibility before the visit, also aiding the revenue cycle. In the end, when healthcare becomes as efficient as the hospitality industry at registration we will have fully optimized this step in the revenue cycle.